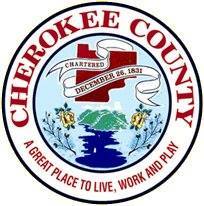 Welcome from Cherokee County, Georgia. I usually don't post a reply, but just "like" the message. However, I couldn't help but comment on that fantastic username. How appropriate for someone from LoosAnna! Thanks everyone for the warm welcome and thanks to you, DeltaBravoKs. The "Gladesman" handle is derived only partially from being from Louisiana. I did work my way through college in the south Louisiana oil fields, much of that time in the vast coastal marshes. DeltaBravoKS's comments beg an explanation of "Gladesman". In another life, many years ago, I was an Environmental Scientist doing environmental impact research in Lake Okeechobee and the Florida Everglades. I practically lived out there off an airboat for eight years in the 1970s. I would go out for days at a time with an airboat, 50 gallons of aviation fuel, an ice chest , sleeping bag and a good machete. Often alone and with no radios that would work out there (no cell phones then) it was an idealistic existence. That is also why I am essentially disabled. It was a very intense physical life style. I left south Florida and moved back home to Louisiana due to two things. Politics got to interfering with my research was one. The other was that I was no longer physically able to handle the lifestyle. By my early thirties I had injuries common to professional athletes. I changed careers and retired as a CPA. An early retirement as the older I got, the worse off I was physically. I got to the point where I could no longer sit at a desk. Last edited by Gladesman; 04-14-2019 at 09:50 AM. I suppose like most, I joined because I'm a Taurus owner. However, I've come to appreciate these personal stories from all over the country. Some of the members have been involved in some fascinating this over the years and it is always interesting to read those personal observations. Can't be too many guys who went from airboat to CPA! I do have a number of Taurus hand guns. Actually, planning to purchase another. I need a 357 Mag. snub nose. I have a Taurus 5 shot in 38 Special and I really like it. I am seriously looking at the 5 shot 357 Mag with the 2" barrel. Looks like the same gun as the 38, but beefed up. That little 38 Special is a great little gun.